When it comes to business intelligence consulting, you need a partner who has been there and done that, who has the experience of your industry and is aware of all the key Metrics and KPIs that impact the bottom line. Our business intelligence consultants are highly skilled and trained and have been helping organizations from multiple industries for over 5 glorious years. In this span we have drastically improved the business performance of our clients and have learnt a great deal about their business environment. This has helped us improve our knowledge and take a unique and pragmatic approach towards the business intelligence initiative of your organization and enable smart business intelligence for you. Our clients don’t have to wait for long to get tangible results. We take time to understand the vision of your company, your long and short-term goals, and objectives and pave a way for these visions to be accomplished by providing smart BI consulting services. The most critical aspect of our business intelligence consulting services is analysis. Here we analyze the existing data, disparate business platforms where all this data is being generated, existing methods of reporting using spreadsheets or any other tools and technology, complexity involved in making sense of this data and visualizing the same via existing methods, dependency on IT for creating these reports and spreadsheets, accuracy of reports, time taken to prepare such reports, challenges faced by business users in-terms of understanding the reports and using it for making appropriate decisions. The above two steps gives us a detailed and clear perspective of your organization’s goals, challenges and technology framework. After in-depth study of all these factors, we prepare an action report for you that include the proven best business intelligence practices catered to your industry and business size. Dashboards, Ad-Hoc systems and Departmental Reporting. Proofs of concept and prototype. ETL / BI tool evaluation. Data governance / MDM (Master data management). Health-check up of existing systems. Our business intelligence consulting team has diverse experience in technology stacks such as Qlik, Hadoop, Tableau, Cognos, and more. Let’s talk to discuss how we can help you. Every organization is replete with immense volume of data but they lack the capability to use this data. Data is useful only if a smart business intelligence solution is used to interpret it; otherwise it’s just a pile up of information lying in silos. Our business intelligence consulting services help clients to select the best BI solution. 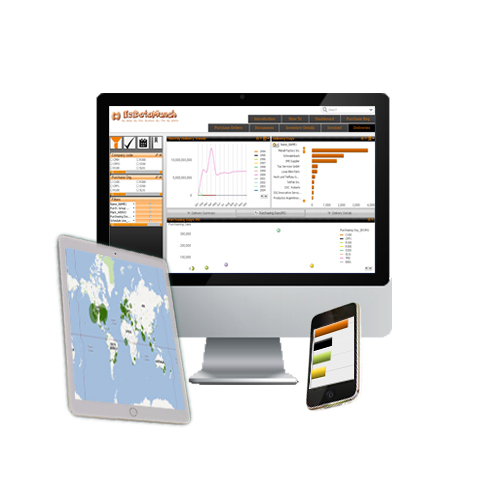 We also provide customized business intelligence dashboards to our customers. 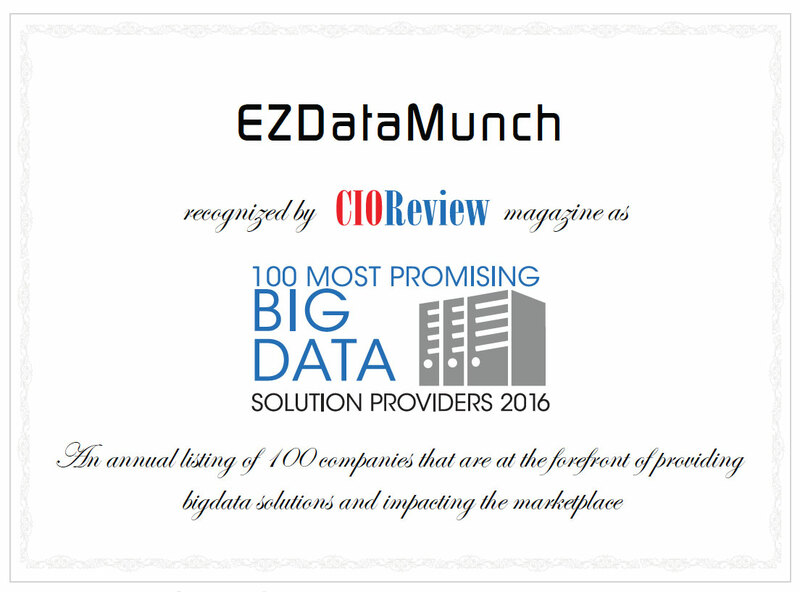 EzDataMunch is a company built around customer satisfaction and growth. We have successfully delivered more than (Number) projects and 99 % of the companies reviewed responded that they would work with us again. The CEO, project managers and all our business intelligence consultants have customer satisfaction and growth as the most important metric on their scorecard.